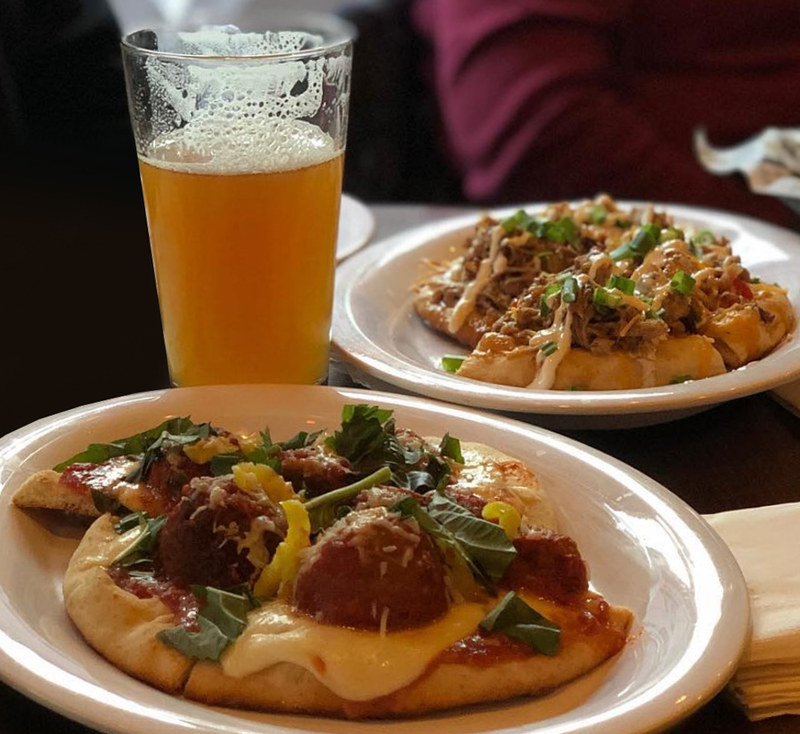 23apr4:00 pm- 9:00 pmTuesdays - $7.99 Flatbread PizzasJoin us for drinks and food in the bar (we're hosting a private event in the main room) - 3 flatbread pizzas on the specials menu for you to choose from. Join us for drinks and food in the bar (we’re hosting a private event in the main room) – 3 flatbread pizzas on the specials menu for you to choose from. 24apr7:00 pm- 10:00 pmNate MichaelsSinger/songwriter Nate Michaels' repertoire covers many favorites in a wide range of music and includes originals in his signature country music style. Nate’s rich voice is like honey, butter & biscuits. 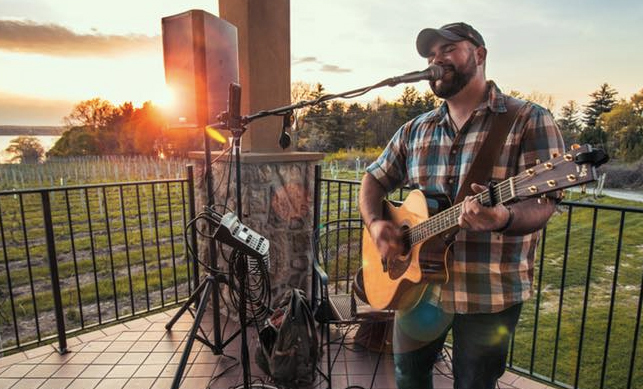 Singer/songwriter Nate Michaels’ repertoire covers many favorites in a wide range of music and includes originals in his signature country music style. 25apr7:00 pm- 10:00 pmB-Side Open JamB-Side’s Open Jam hosted by Andy Saxby of Banned From the Tavern and Matt Beeman of Acoustic Brew. Bringing together fellow musicians from the Fairport/Rochester area performing live on stage. B-Side’s Open Jam hosted by Andy Saxby of Banned From the Tavern and Matt Beeman of Acoustic Brew. Bringing together fellow musicians from the Fairport/Rochester area performing live on stage. There will be a full drum kit, bass, and electric guitar rigs, keyboards, and vocal mics set up and ready to plug in and play. Bring your full band or if you’re a guitarist, bass player, harmonica player, sax player etc. 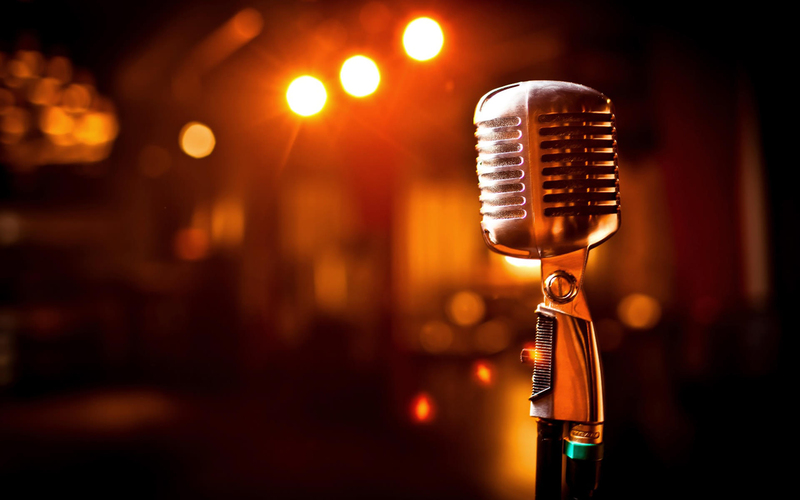 you can jam on stage with the House Band or plug in your acoustic guitar to the house sound system, step up to the mic, and show off your solo skills. Interested in being a part of the Open Jam? Send us an email – fairportbsidemusic@gmail.com. Bring your friends, your fans, and your family for some great beers on tap and bottles, classic cocktails, and delicious food to pair with an amazing night of musical performances at B-Side. 26apr5:00 pm- 7:00 pmLaura Thurston Happy Hour ShowLaura brings multi-instrumentalism to a new level to her Americana folk-grass tunes! Rappin’ on a suitcase kick drum with one foot and tappin’ on a tambourine with the other; all the while, hands on her guitar and mouth on her harp. 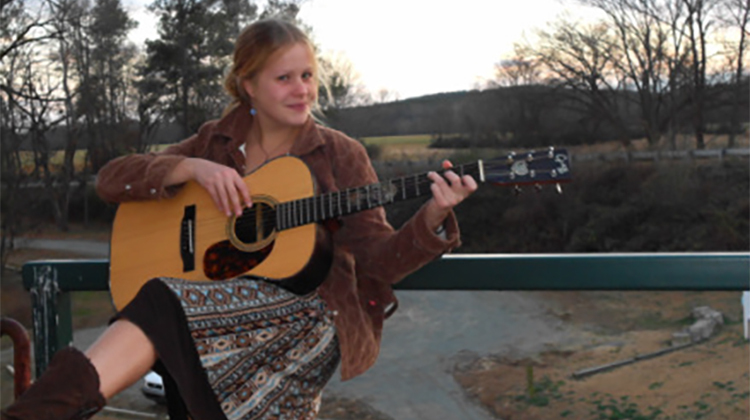 Laura brings multi-instrumentalism to a new level to her Americana folk-grass tunes! Rappin’ on a suitcase kick drum with one foot and tappin’ on a tambourine with the other; all the while, hands on her guitar and mouth on her harp. Vinyl is a 4-piece cover band, with members from Teagan & The Tweeds and Tryst – playing wrong chords since 1995. Playing fun, hip covers to make you forget about the work week. Fun fact… lead vocalist, Jim Marconi, is the only non Chilean in the band. As a result, the band almost took the name Menudo and the White Guy. 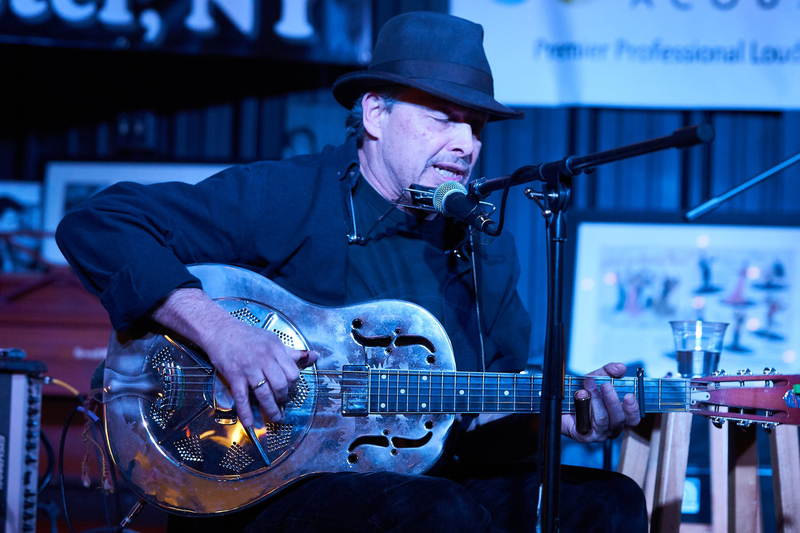 27apr5:00 pm- 7:00 pmGordon Munding Saturday Supper ShowDust off your work week with a pint of craft beer and some small batch, single barrel blues! Bassist Greg Franklin will join Gordon Munding to celebrate with you early, Satuday evening for a suppertime show! Dust off your work week with a pint of craft beer and some small batch, single barrel blues! Bassist Greg Franklin will join Gordon Munding to celebrate with you early, Satuday evening for a suppertime show! Gordon founded the popular “Son House Blues Night” (a tribute to the delta blues giant who was rediscovered living in Rochester N.Y) Munding is also the founder of the popular band “The Crawdiddies”. 27apr8:00 pm- 11:00 pmJunkYardFieldTripJunkyardfieldtrip has become one of the region's most in-demand, eclectic bands, being nominated by City Newspaper's Best of Rochester award for best band. Formed at the beginning of 2014, Junkyardfieldtrip was originally put together as a songwriting vehicle for Mike Gladstone and Rob Smith. After adding one of western NY’s top rhythm sections (Emmett Ientilucci and Don Torpy), the band started playing acoustic shows around the Rochester, NY area. Eventually the band started writing and playing more electric material. Over the last few years, Junkyardfieldtrip has quickly become one of the region’s most in-demand, eclectic bands, being nominated by City Newspaper’s Best of Rochester award for best band. In the summer of 2017, the band played the prestigious Fairport Music Festival. In March 2018, the band signed with Spectra Records and will be touring to support the record. 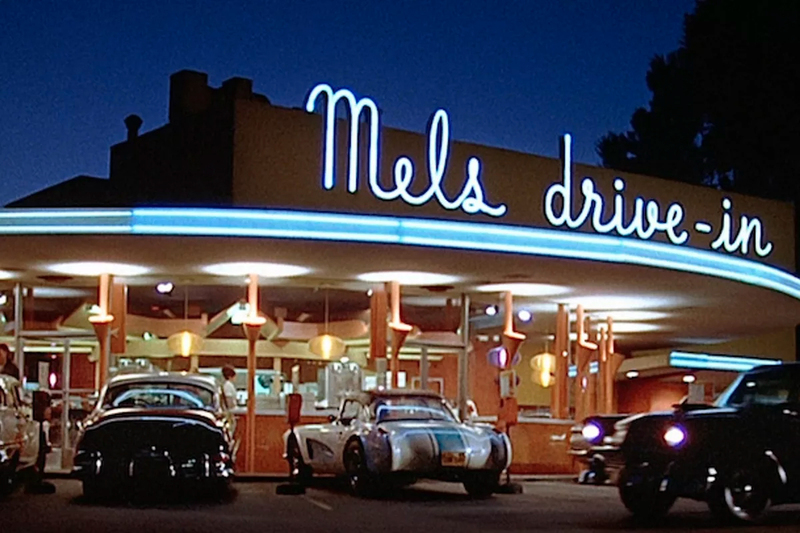 30apr6:30 pm- 8:30 pmAmerican Graffiti with the Fornieri Family - 5-Course DinnerJoin us for our next 5-course pairing dinner of small plates and drinks featuring the music of the 50s performed by the Fornieri Family featuring Joe & Pete from the East End Drifters. Join us for our next 5-course pairing dinner of small plates and drinks featuring the music of the 50s performed by the Fornieri Family featuring Joe & Pete from the East End Drifters. Tickets are $35 (tax and gratuity included) and available for purchase at the bar. mustard on a toasted roll and house-made French fries. Beer battered cod with spicy tartar sauce, lettuce, and grilled tomato on a sweet roll served with creamy bell pepper slaw. Top quality steer beef on a toasted buttered bun with potato pancake, Bibb lettuce and Thousand Island dressing. Served with Big Boy fries. jalapeño, and lettuce on a toasted Kaiser roll served with salt and pepper chips. Vanilla bean ice cream with brownie bottom wrapped in a toasted meringue over chocolate-caramel rum sauce.